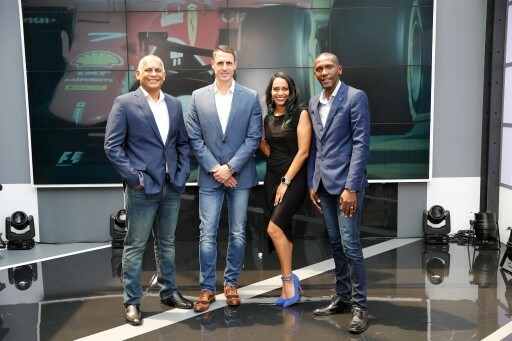 As of Wednesday the 21st of March 2018, bubbly radio and TV personality, Kriya Gangiah will be livening up the screens for every racing fanatic in her new role as host and presenter of SuperSport’s popular Absolute F1 show. The gorgeous twenty-something infotainment professional landed herself the lead presenter role on the show that is broadcast every Wednesday at 7:30pm. Every week Gangiah will be joined in studio by gurus in the Formula One and racing discipline that includes the experienced Bashobonke “Tschops” Sipuka, who competed in the formula Volkswagen class in Germany as well as Saloon car racing in Malaysia and super truck racing in South Africa. “I have always had a passion for cars and gadgets so landing the lead presenter role for Absolute F1 is a dream job! Not to mention being part of an incredible brand like SuperSport and rubbing shoulders regularly with the ultimate petrol heads – who also happen to be great guys! I can’t wait to share the latest in sport and topical racing content with SA’s passionate formula one fans. Exciting times are ahead and I am delighted to be a part of The Champions Family,” gushed Gangiah.